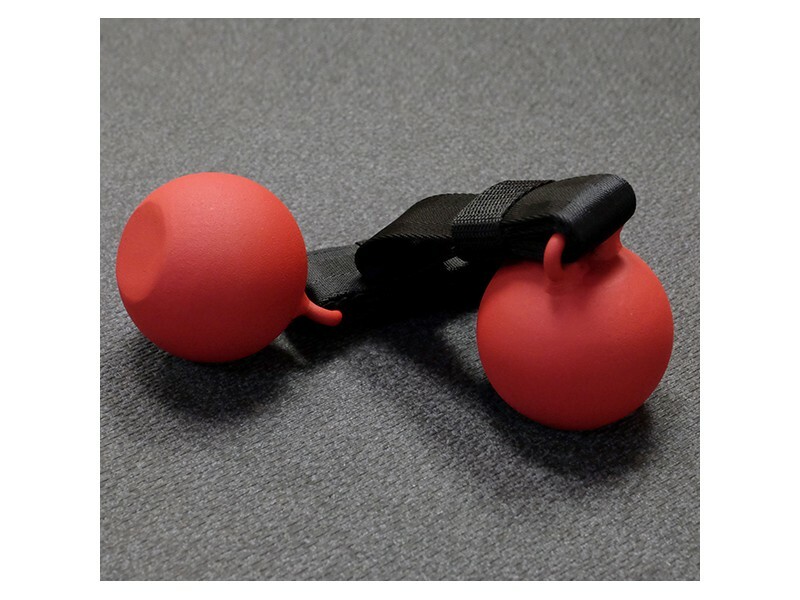 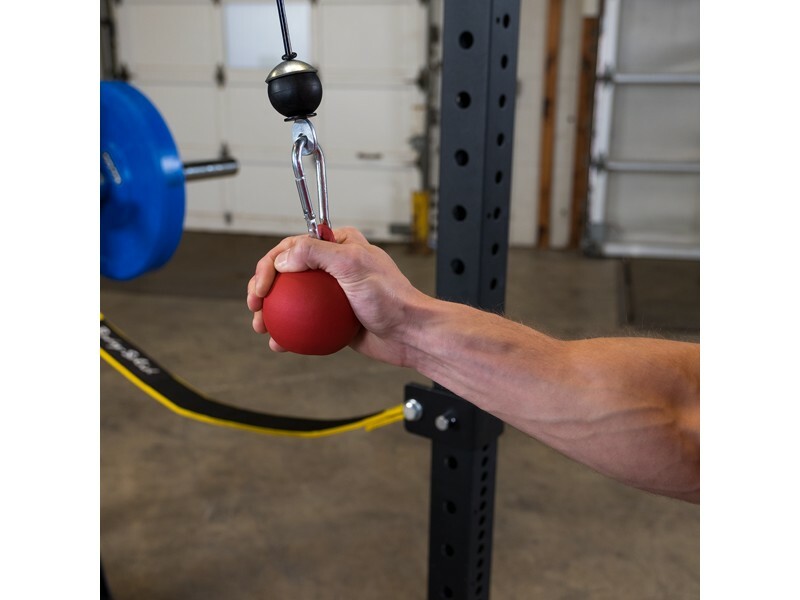 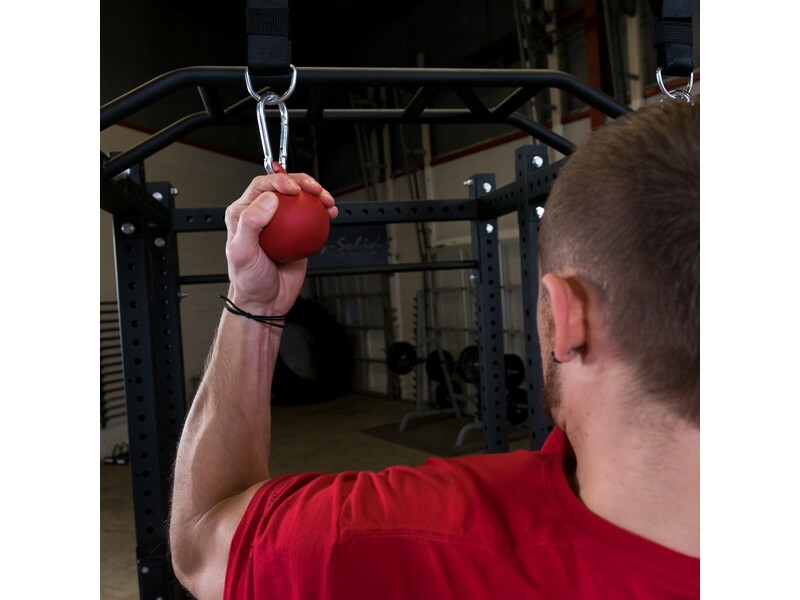 Attach these 3" diameter cannonball grips to a pull up bar, or potentially other pieces of equipment like a bar, kettlebell, plate, or dumbbells, to work on your grip in new ways you never could before. 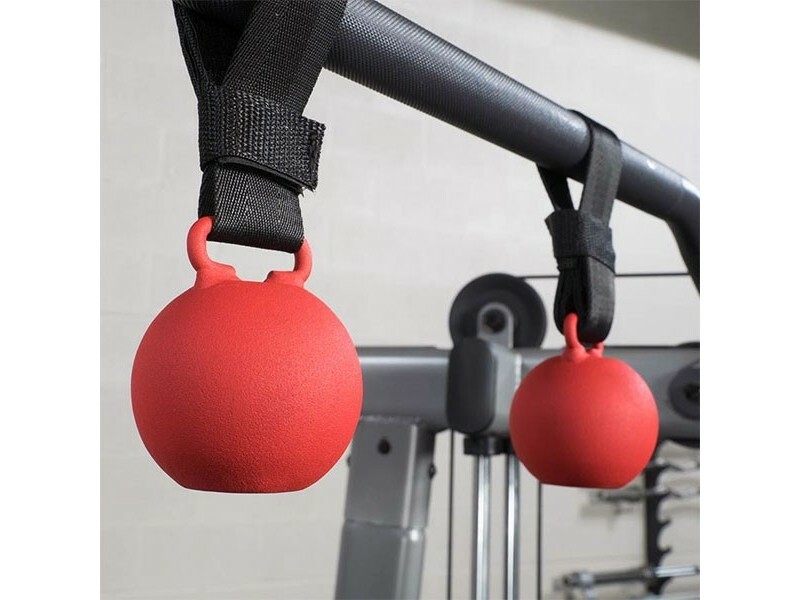 The matte surface helps you grip the ball whether your hands are dry or sweaty. 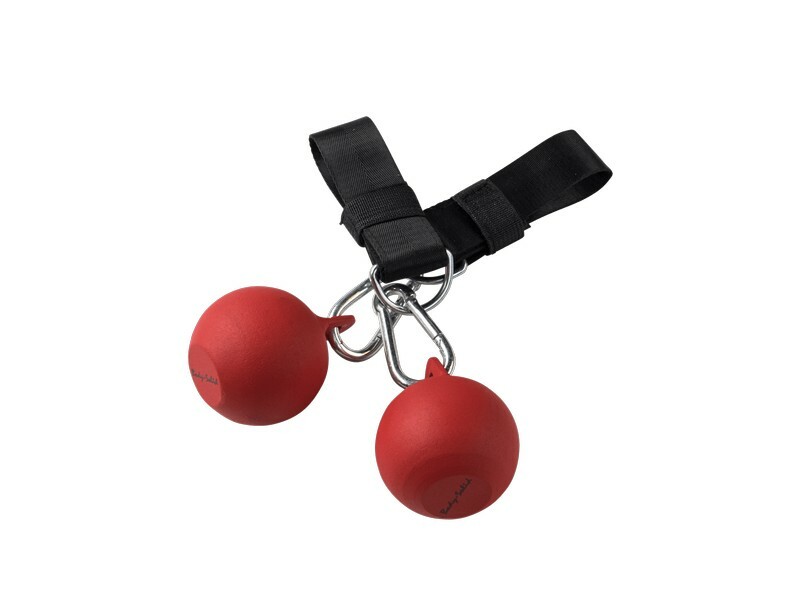 Includes 2 cannonball grips. 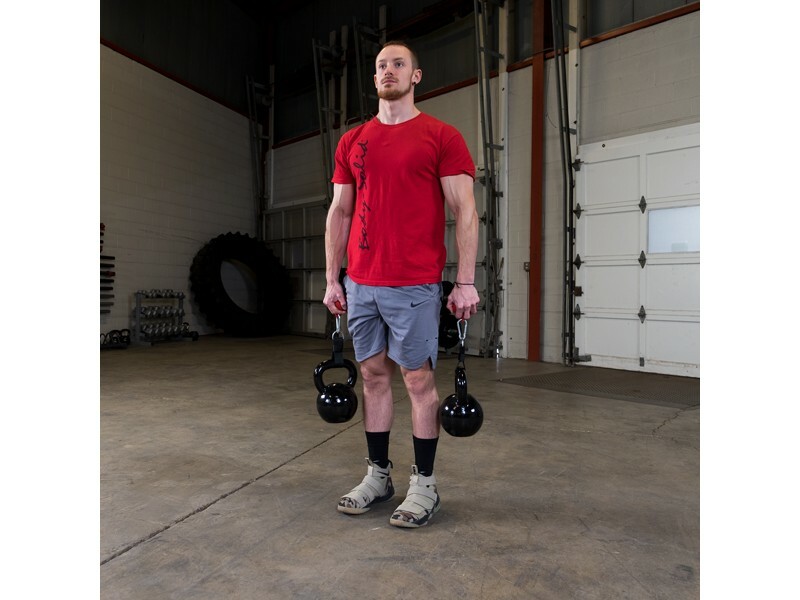 They are shaped like mini-kettlebells, with a welded steel eyelet on top for the included carabiner to go through, and a flat surface on the bottom. 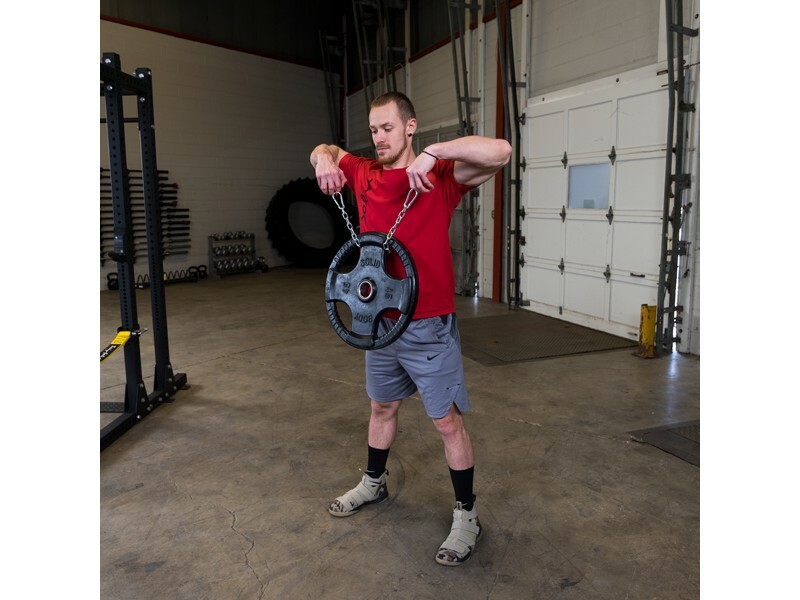 With the carabiners you can attach them to any cable machine, or add the straps and attach them to just about anything you can imagine. 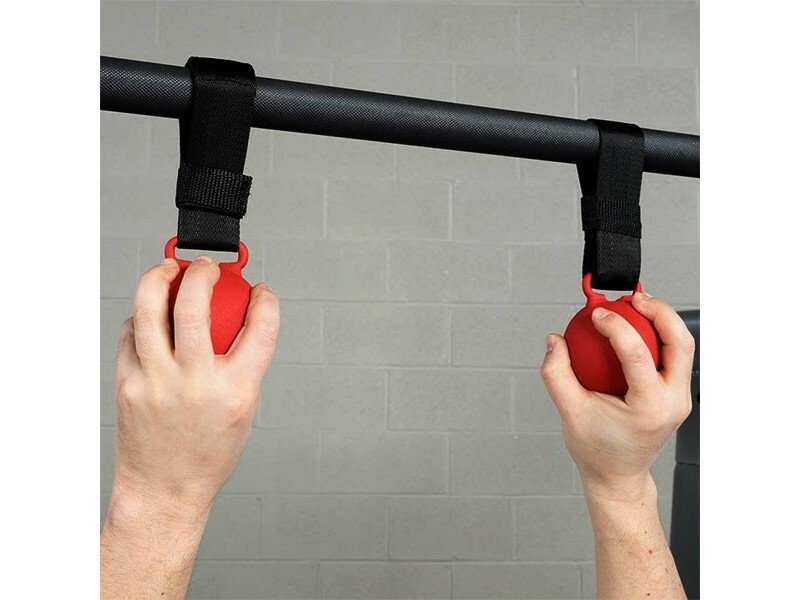 They will easily take your body weight and more for pull-ups.